A heartful thank you image to share for free. Are you feeling drenched with the love of your better half? Thank him/her for making your life more happier and joyful. A sweet thank you note can make him/her feel your love better. 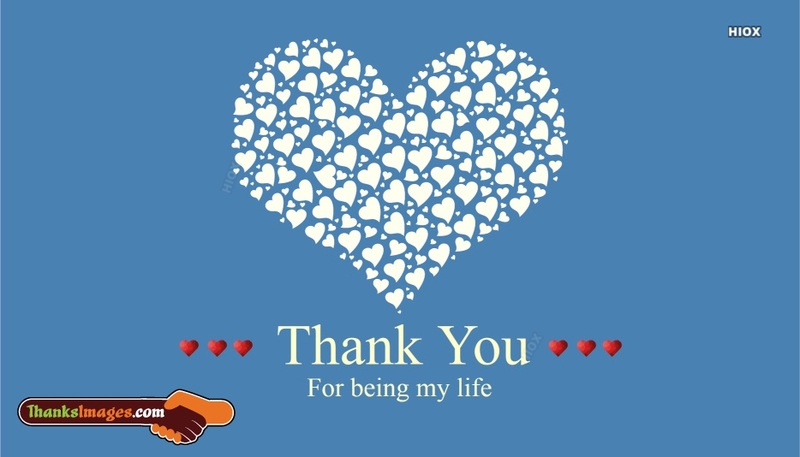 Free download this "Thank U For Being My Life" image through any social media platforms such as facebook or whatsapp or instagram, etc.